Questions about Kichler Lighting 2220TZG? The Larissa Collection captures the essence of classical design, whether it's the hand formed steel with our exclusive Tannery Bronze finish, or the gold accents and citrine glass, it is sure to have elements that appeal to even the most critical of tastes. To create a warm antique look for your home the Larissa Collection from Kichler is all you need. 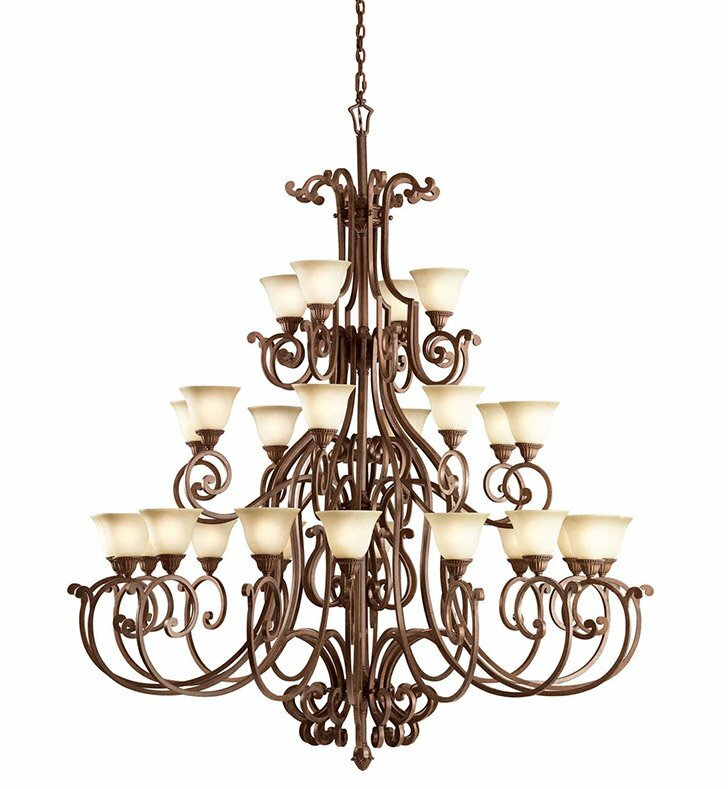 This three-tiered, 28 light Grande Chandelier is the largest in the Larissa collection. A classic in every sense, this chandelier will deliver the light you want while enhancing the decor of a large room or foyer. It measures 73" in diameter and 85" high while using 100-watt (max.) bulbs, becoming an undeniable presence in any room. The fixture must be supported independently of the outlet box unless the outlet box is UL listed for the weight to be supported. Dimensions: H 85" x W 73"